This popular photo of The Baker Office Building is on display in the Foyer at the Hills House on Derry Road. Visitors touring the Historical Society will often comment “This is where we got our marriage license”! John E. Baker served as Town Clerk and Treasurer from 1940-1965. At first he conducted his town business within the Baker Brothers’ Store on Central Street. By 1944 this privately owned office building was built on part of the old Kendrick property at the point of land between Derry Road and Baker Street. From this building Mr. Baker conducted his town responsibilities along with his private business as a John Hancock Insurance Agent and Justice of the Peace until the present Town Hall was completed in 1965. At that time the town office was moved to Town Hall on School Street. When the access to the newly constructed Veterans’ Memorial Bridge were designed Baker Street became a dead end street at Ferry Street. 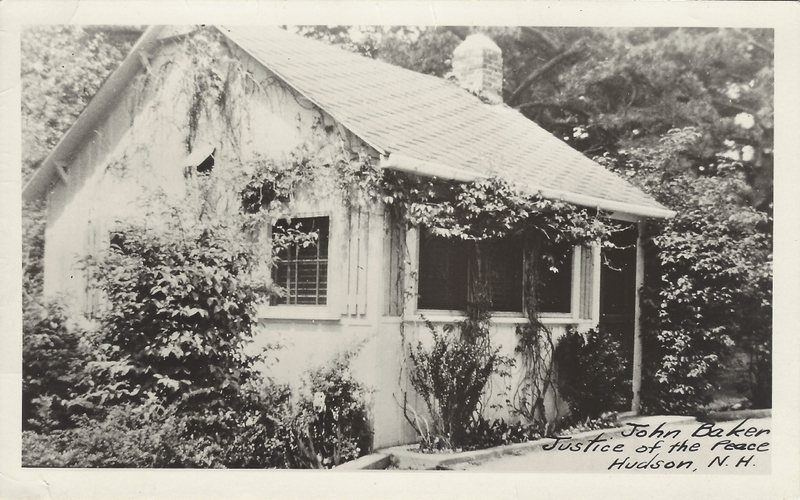 This small office building was moved to a private residence on Ledge Road. The Nashua Trust Company had established a temporary branch office in the Morey Building on Ferry Street and opened for business by the end of August 1964. By March 1967 the bank moved into this brick building on Derry Road opposite Library Park and near the site of the earlier Baker Office Building. 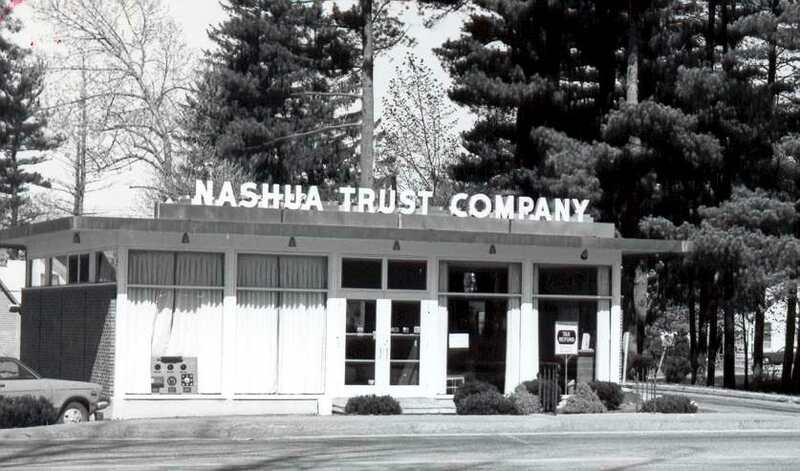 By August 1980 the Nashua Trust expanded it’s operation and relocated to 77 Lowell Road, occupying a portion of the former Piggly Wiggly Building. After a series of bank mergers and buy-outs the Lowell Road site is now occupied by Citizens Bank. This photo shows the Nashua Trust Derry Road building C1976. The building still stands and has been used by a real estate firm and a loan company. It is currently vacant. Photos from the Historical Society Collection. By Ruth M Parker in Bridge Area on July 17, 2015 .